US Legislature calling for the protection and preservation of international cultural property at risk due to political instability, armed conflict, or natural or other disasters, and for other purposes. Earlier in March 2015, Representative Eliot L Engel, [D-NY-16] introduced a Bill in the 114th Congress, First Session, -- via the House - Armed Services; Foreign Affairs; Judiciary; Ways and Means Committee and also referred to the Committee on Foreign Affairs -- calling for the protection and preservation of international cultural property at risk due to political instability, armed conflict, or natural or other disasters, and for other purposes [A copy of that bill has been included in its entirety below]. We write to urge that the Department of Treasury’s Office of Foreign Assets Control act quickly to promulgate regulations imposing sanctions on importers of cultural property unlawfully removed from Syria,” the letter, issued on Monday, said. “Such regulations would implement a recently adopted United Nations Security Council Resolution and would mirror regulations already established for Iraq. To protect and preserve international cultural property at risk due to political instability, armed conflict, or natural or other disasters, and for other purposes. On March 19, 2015 this Bill was referred to the Committee on Foreign Affairs, and in addition to the Committees on Ways and Means, Armed Services, and the Judiciary, for a period to be subsequently determined by the Speaker, in each case for consideration of such provisions as fall within the jurisdiction of the committee concerned. This Act may be cited as the “Protect and Preserve International Cultural Property Act”. (1) APPROPRIATE CONGRESSIONAL COMMITTEES.—The term “appropriate congressional committees” means the Committee on Foreign Affairs of the House of Representatives and the Committee on Foreign Relations of the Senate. SEC. 3. Findings and statement of policy. (1) Over the years, international cultural property has been looted, trafficked, lost, damaged, or destroyed due to political instability, armed conflict, natural disasters, and other threats. (2) During China’s Cultural Revolution, many antiques were destroyed, including a large portion of old Beijing, and Chinese authorities are now attempting to rebuild portions of China’s lost architectural heritage. (3) In 1975, the Khmer Rouge, after seizing power in Cambodia, systematically destroyed mosques and nearly every Catholic church in the country, along with many Buddhist temples, statues, and Buddhist literature. (4) In 2001, the Taliban destroyed the Bamiyan Buddhas, ancient statues carved into a cliffside in central Afghanistan, leading to worldwide condemnation. (5) After the fall of Saddam Hussein, thieves looted the Iraq Museum in Baghdad, resulting in the loss of approximately 15,000 items, including ancient amulets, sculptures, ivories, and cylinder seals. Many of these items remain unrecovered. (6) The 2004 Indian Ocean earthquake and tsunami not only affected 11 countries, causing massive loss of life, but also damaged or destroyed libraries, archives, and World Heritage Sites such as the Mahabalipuram in India, the Sun Temple of Koranak on the Bay of Bengal, and the Old Town of Galle and its fortifications in Sri Lanka. (7) In Haiti, the 2010 earthquake destroyed art, artifacts, and archives, and partially destroyed the 17th century Haitian city of Jacmel. (8) In Mali, the Al-Qaeda affiliated terrorist group Ansar Dine destroyed tombs and shrines in the ancient city of Timbuktu—a major center for trade, scholarship, and Islam in the 15th and 16th centuries—and threatened collections of ancient manuscripts. (9) In Egypt, recent political instability has led to the ransacking of museums, resulting in the destruction of countless ancient artifacts that will forever leave gaps in humanity’s record of the ancient Egyptian civilization. (10) In Syria, the ongoing civil war has resulted in the shelling of medieval cities, damage to five World Heritage Sites, and the looting of museums containing artifacts that date back more than six millennia and include some of the earliest examples of writing. (11) In Iraq and Syria, the militant group ISIL has destroyed numerous cultural sites and artifacts, such as the Tomb of Jonah in July 2014, in an effort to eradicate ethnic and religious minorities from contested territories. Concurrently, cultural antiquities that escape demolition are looted and trafficked to help fund ISIL’s militant operations. (12) On February 12, 2015, the United Nations Security Council unanimously adopted resolution 2199 (2015), which “[r]eaffirms its decision in paragraph 7 of resolution 1483 (2003) and decides that all Member States shall take appropriate steps to prevent the trade in Iraqi and Syrian cultural property and other items of archaeological, historical, cultural, rare scientific, and religious importance illegally removed from Iraq since 6 August 1990 and from Syria since 15 March 2011, including by prohibiting cross-border trade in such items, thereby allowing for their eventual safe return to the Iraqi and Syrian people.”. (13) United Nations Security Council resolution 2199 (2015) also warns that ISIL and other extremist groups are trafficking cultural heritage items from Iraq and Syria to fund their recruitment efforts and carry out terrorist attacks. (14) Cultural property represents an irreparable loss of humanity’s common cultural heritage and is therefore a loss for all Americans. (15) Protecting international cultural property is a vital part of United States cultural diplomacy, showing the respect of the United States for other cultures and the common heritage of humanity. (16) The United States Armed Forces have played important roles in preserving and protecting cultural property. In 1943, President Franklin D. Roosevelt established a commission to advise the United States military on the protection of cultural property. The commission formed teams of individuals known as the “Monuments Men” who are credited with securing, cataloguing, and returning hundreds of thousands of works of art stolen by the Nazis during World War II. (17) The Department of State, in response to the Convention on Cultural Property Implementation Act, noted that “the legislation is important to our foreign relations, including our international cultural relations. The expanding worldwide trade in objects of archaeological and ethnological interest has led to wholesale depredations in some countries, resulting in the mutilation of ceremonial centers and archaeological complexes of ancient civilizations and the removal of stone sculptures and reliefs.”. The Department further noted that “[t]he United States considers that on grounds of principle, good foreign relations, and concern for the preservation of the cultural heritage of mankind, it should render assistance in these situations.”. (18) The U.S. Committee of the Blue Shield was founded in 2006 to support the implementation of the 1954 Hague Convention for the Protection of Cultural Property in the Event of Armed Conflict and to coordinate with the United States military, other branches of the United States Government, and other cultural heritage nongovernmental organizations in preserving international cultural property threatened by political instability, armed conflict, or natural or other disasters. (4) ensure that existing laws and regulations, including import restrictions imposed through the Office of Foreign Asset Control (OFAC) of the Department of the Treasury, are fully implemented to prevent trafficking in stolen or looted cultural property. SEC. 4. United States Coordinator for International Cultural Property Protection. (7) submit to the appropriate congressional committees the annual report required under section 6. SEC. 5. Coordinating Committee on International Cultural Property Protection. (a) Establishment.—There is established a Coordinating Committee on International Cultural Property Protection (in this section referred to as the “Committee”). (b) Functions.—The full Committee shall meet not less often than annually to coordinate and inform Federal efforts to protect international cultural property and to facilitate the work of the United States Coordinator for International Cultural Property Protection designated under section 4. (1) The Department of State. (3) The Department of Homeland Security, including U.S. Immigration and Customs Enforcement and U.S. Customs and Border Protection. (4) The Department of the Interior. (5) The Department of Justice, including the Federal Bureau of Investigation. (6) The United States Agency for International Development. (8) The U.S. Committee of the Blue Shield. (9) Such other entities as the Chair determines appropriate. (d) Subcommittees.—The Committee may include such subcommittees and taskforces as the Chair determines appropriate. Such subcommittees or taskforces may be comprised of a subset of the Committee members or of such other members as the Chair determines appropriate. At the discretion of the Chair, the provisions of the Federal Advisory Committee Act (5 U.S.C. App.) and section 552b of title 5 of the United States Code (relating to open meetings) shall not apply to activities of such subcommittees or taskforces. (e) Consultation.—The Committee shall consult with governmental and nongovernmental organizations, including museums, educational institutions, and research institutions on efforts to promote and protect international cultural property. SEC. 6. Reports on activities to protect international cultural property. (B) actions the Department has taken in order to ensure the consistent and effective application of law in cases relating to both international cultural property abroad and international cultural property located in, or attempted to be imported into, the United States. SEC. 7. Authorization for Federal agencies to engage in international cultural property protection activities with the Smithsonian Institution. Notwithstanding any other provision of law, any agency that is involved in international cultural property protection activities is authorized to enter into agreements or memoranda of understanding with the Smithsonian Institution to temporarily engage personnel from the Smithsonian Institution for the purposes of furthering such international cultural property protection activities. SEC. 8. Emergency protection for Syrian cultural property. (a) Presidential determination.—Notwithstanding subsection (b) of section 304 of the Convention on Cultural Property Implementation Act (19 U.S.C. 2603) (relating to a Presidential determination that an emergency condition applies with respect to any archaeological or ethnological material of any State Party to the Convention), the President shall apply the import restrictions referred to in such section 304 with respect to any archaeological or ethnological material of Syria, except that subsection (c) of such section 304 shall not apply. Such import restrictions shall take effect not later than 120 days after the date of the enactment of this Act. (2) the term “State Party” has the meaning given such term in section 302 of the Convention on Cultural Property Implementation Act (19 U.S.C. 2601). News reports in the aftermath of the government seizure were awash with tales from those who had seen his collection, which reportedly included Aztec figurines, Ming Dynasty jade and an Egyptian sarcophagus. Miller never faced any charges related to his collection. No lawsuits were filed against him in the year since the seizure. In his final months, townsfolk told The Indianapolis Star he had disappeared from public life. And even after his death, progress of the federal investigation remains shrouded in mystery. FBI Special Agent Drew Northern declined to comment about the case Tuesday night. Officials from the Indiana University-Purdue University Indianapolis anthropology department, which is assisting the FBI in identifying and preserving the artifacts, also would not comment. But a legal expert told The Star it could take years, if not decades, before experts can sort out the legalities of the thousands of objects seized by the government. Here's a link to the ARCA Blog's earlier post on the FBI seizure (along with a perspective by retired FBI Agent Virginia Curry and anthropologist Kathleen Whitaker). Five years ago a retired electrician and his wife presented unsigned artworks allegedly obtained as gifts from Pablo Picasso for authentication to Claude Picasso, the administrator for the Picasso foundation. This month, a court in the south of France found Pierre and Danielle Le Guennec guilty of possessing stolen goods. The works will be returned to the members of the Picasso family. Catherine Hutin, the daughter of Jacqueline Picasso, has told The Art Newspaper that she intends to donate her part of the collection to a museum, but has not yet decided which one. Additional reading on Picasso's legacy: "Nightmare at the Picasso Museum"
ARCA's 2015 Postgraduate Certificate Program in Art Crime and Cultural Heritage Protection is extending its application period through April 30, 2015. 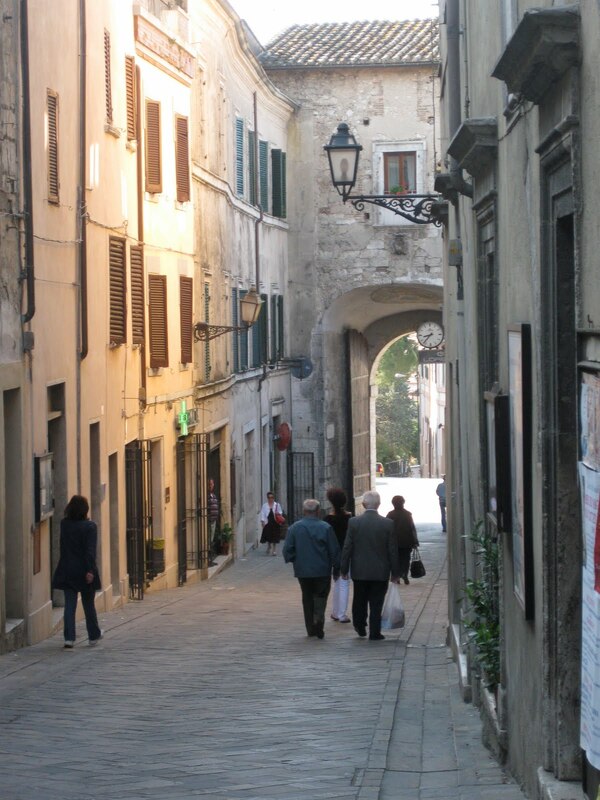 The Association for Research into Crimes against Art (ARCA) 2015 Postgraduate Certificate Program in International Art Crime and Cultural Heritage Protection program will be held from May 29 through August 15, 2015 in the heart of Umbria in Amelia, Italy. In its seventh year, this academically intensive ten week program provides in-depth, postgraduate level instruction in a wide variety of theoretical and practical elements related to art and heritage crime. By examining art crime’s interconnected world, students experience an integrated curriculum in an interactive, participatory setting. The programs' courses include comprehensive multidisciplinary lectures, class discussions and presentations as well as field classes, which serve as the backdrop for exploring art crime, its nature, and impact. Each course associated with the program has been selected to underscore the value of, and necessity for, a longitudinal multidisciplinary approach to the study of this type of criminal behavior and enterprise. This program has been designed to expose participants to an integrated curriculum occurring in a highly interactive, participatory, student-centered setting. Instructional modules include both lectures and “hands-on” learning in the form of case studies, presentations, in situ field classes and group discussions. At the end of the program, participants will have a solid mastery of a broad array of concepts pertaining to cultural property protection, preservation, conservation, and security. **Some students stay a few days to one week longer to participate in the August Palio dei Colombi, Notte Bianca and Ferragosto festivities. Update: CBC News: "Tunisian PM: 17 foreign tourists, 2 Tunisians killed in attack" at the National Bardo Museum. This is also confirmed by the International Business Times and other sources on Twitter (search #Bardoattack). Italian tourists on cruise of Mediterranean were reportedly inside the museum at the time of the attack. Radio Mosaique FM reported the death of 15 people: 13 tourists of various nationalities and two Tunisians. Leila Fadel, Cairo Bureau Chief for NPR is on the scene and has tweeted: "Stand off at bardo museum over. Police killed two of the gunmen and captured one. #Bardoattack"
At least seven foreign tourists and a Tunisian have been killed after gunmen targeted a museum in the the Tunisian capital, officials say. Tourists from several European countries were taken hostage, a local radio station reported. The shooting happened at the Bardo Museum, which is next to the parliament building in central Tunis. The National Bardo Museum has artifacts from Carthage and a large collection of Roman mosaics. The museum's website describes its "101 masterpieces" in both French and English. CBC has reported that "Tunisian officials say museum siege is over; 2 gunmen killed" (breaking news via CBC's mobile application for news). The Associated Press (AP) reported the death of two gunmen, a security officer, and several tourists. Prize-winning Boston journalist Steve Kurkjian looks at the investigation of the 1990 robbery of the Isabella Stewart Gardner Museum in his book "Master Thieves"
Boston journalist Steve Kurkjian, author of another book on the Isabella Stewart Gardner theft in 1990 ("Master Thieves, Public Affairs), is interviewed by Dan Rea on Nightside. The Christian Science Monitor's book editor Majorie Kehe interviews Kurkjian here about his 2015 book. Kurkjian clearly knows how to work his beat — he won three Pulitzer Prizes while at the Boston Globe. For this book, he interviewed low-level criminals long suspected of the crime and he reached out to mob bosses for answers. And most impressive, he delivers the story of Louis Royce, who discovered the museum’s security lapses while sneaking into the galleries during his troubled teen years. Royce claims that he passed that information along to his criminal connections and that someone picked up his tip and carried out the heist. Placing the theft in historical context, Kurkjian charts the evolution of Boston’s gang wars in the 1980s and details how criminals have used stolen art to bargain plea deals. He also looks at the Gardner’s security issues, everything from troubles with the museum’s board to personnel lapses, and he examines failures in the FBI’s treatment of art crimes, building stark comparisons to more-successful European approaches. Notorious gangster Whitey Bulger’s story lurks along the edges of the narrative, and Kurkjian argues that Bulger’s capture in 2011 and the hunt for the Boston Marathon bombers in 2013 provide models for how crowdsourcing might be used to locate the missing Gardner masterpieces. Kurkjian has gathered so much information that explaining the smallest bit of it leads to a spate of cross-references, qualifications and digressions. William McKeen for the Boston Globe reviews "Master Thieves" here. And here are previous posts on the ARCA Blog related to Kurkjian's reporting on the still unsolved Boston art theft: "Tip to Authorities ..."; Kurkjian's interview with security guard; and the FBI's awareness campaign. Kurkjian's book is available in print and can be electronically downloaded on iBooks. I address this open letter to you in your capacities as the New Zealand's representative on the United Nation's Security Council, and as New Zealand's Foreign Minister respectively. Given New Zealand's independent voice as a member of the Security Council, I believe that you should use the opportunity now afforded New Zealand to seek an immediate and urgent debate by the Security Council concerning the war crimes being committed in Syria by the Islamic State group, as they relate to the wanton destruction of irreplaceable cultural heritage and antiquities by ISIS. Whilst not for a moment overlooking or minimising the horrific crimes being committed, it seems daily, by ISIS against civilians, refugees, displaced persons, peoples of other faiths and fellow Muslims, the offences ISIS is committing against the world's irreplaceable cultural heritage are appalling, irreversible and, it seems increasing in both frequency and seriousness. The United Nations generally, and the Security Council itself, must take real and effective action. In just the last few days it was, first, the museum at Mosul. Then the destruction of Nimrud, the ancient city of the Kings of the Assyrians. Just today, news is filtering out of the likely additional and tragic destruction of Hatra. I urge New Zealand to call for a immediate and urgent debate in the Security Council, and for the Council thereafter to request or direct the International Criminal Court that immediate indictments be issued to bring those responsible for cultural heritage war crimes in and around Syria and Iraq, or alternatively for the Security Council to mandate the immediate establishment of an Ad Hoc War Crimes Tribunal to investigate and prosecute war crimes committed during the Syrian/Iraq/ISIS conflict, including (but of course not limited to) crimes against humanity, and war crimes committed, by the destruction of humankind's shared and irreplaceable cultural heritage both within Syria and Iraq, and within the territory controlled by ISIS.